He used to play by himself quite well. If fact he would spend hours imagining entire worlds with his stuffies or even rotting his brain playing video games. He used to be self-reliant. Then he lost his favorite playmate. She didn’t die or anything horrible like that, she simply grew up. The 5/12 year old who was there at his birth and grew to be his favorite person in the world became a freshman in high school and stopped wanting to play games with her now 8 year old brother. It’s a normal transition for her even if it is horrible for him. He has never lived a life without a playmate – until now. Which is why he now spends every waking moment of his time with me at my side demanding my complete and total attention to everything he does from changing the name of his character on the ROKU game we play to watching how much juice he has already drunk from his glass since the last time he asked me to look three seconds ago. He is a velcro child, a snuggly burr, stuck to my side and refusing to let go without pain and discomfort. He honestly feels he isn’t getting enough attention from me and his father because he used to get this huge additional attention from his sister who would now rather listen to music and read than pay much attention to anyone. Those rare moments when she calls him to her and asks him to join in an activity are like sunshine in England. He rushes to her side and soaks up the time and attention like a dry sponge dropped into a lake. The he dries back out in tearful spurts as she inevitably moves onto something he is welcome to participate in. He returns resignedly to me and I resignedly welcome him, setting aside my work/play/whatever to spend some time on only him. I keep waiting for it to pass. I encourage solo play and even parallel play with me so I can get stuff done but all the self reliance in the world won’t replace what he’s missing. He is missing his sister’s childhood. His fellow adventurer and play pal. His best friend. His very favorite person in the whole wide world. And she is never going to return. 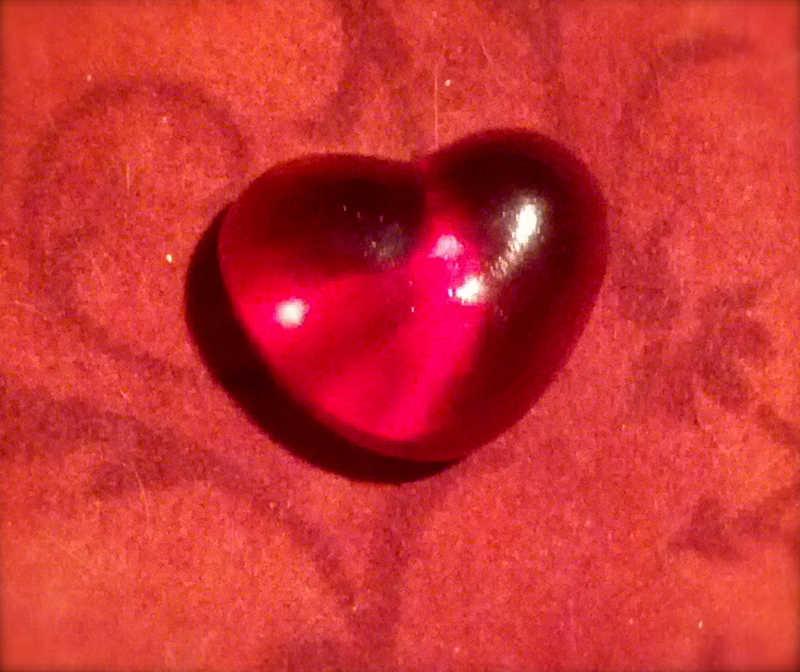 My mother’s tiny glass heart. It’s hard to be a child. School is challenging, scary, and often filled with awkward and unpleasant social encounters that eat away at the enjoyment of your day. If you think about how tiny the wee people we send to school are, how thin the shielding around their easily wounded hearts can be, and the plethora of peer induced traumatic events awaiting them each day it’s no wonder they often fake illness to stay home. When I was a little girl my mother, who has always considered herself a bear, would tell me there was a little bear on my shoulder, sitting next to me and giving me love and strength. It worked wonders knowing that no matter what the more popular kid said to me or the angry kid did to me or who “accidentally” pushed me at recess my mother bear was there with me to help me stand up, brush myself off, and move on with the day. They carry her little heart along with them in their pocket during the day. Oliver told me proudly that Nama was with him all day at school because her heart was in his pocket. Marlena found herself comforted by gripping the tiny expression of unquestioning love when she was having a sad day. Each day before they go to school, they make sure they have their little glass heart with them, just in case. Each day they feel, tangibly, that someone who loves them with the unconditional fierceness of a grandmother is walking by their side as they deal with the myriad of problems that arise in their day. I am not sure mom realizes what a huge difference her tiny glass hearts have made in the hearts of her grandchildren, but I know the benefit these small people get from her thoughtful gesture will be remembered forever. One Lawyer and two children drove off to Kansas to camp in Lake Scott State Park and shore up standing in an environmental suit I am filing later in the summer. We packed a tent, a king sized air mattress, a queen sized sleeping bag, a pile of camping food, dishes, camp stove, and other necessary gear. We forgot the bug spray. We remembered the hammock and the travel DVD player. We drove 5 and a half hours, with over 7 stops, through the wilds of eastern Colorado. We stopped at fast food places and gas stations. We stared in wonder at Kanarado, and signs for the largest prairie dog ever. We ate snacks, and I listened to Shrek, over and over again, and the kids paused and rewound favorite parts to get themselves through almost six hours in the car with nothing to look at but highway and wheat fields. There are only so many times you can look at cows before you are bored of them I suppose. Finally after way too many hours in the car, and one wrong turn into some poor farmer’s wheat field courtesy of the GPS, We ended up at Lake Scott State Park. A beautiful, spring fed oasis on the western plains containing more species of grasses, birds, and reptiles than nearly any other place in North America. Oh yeah, and it’s hotter than a frying pan on a camp stove in July. Once we got to the camp ground, things got a little, more interesting. My mentor and his lady love joined us at the camp site, and we chose a spot that prevented the children from launching themselves into the 100 acre lake without first running around a blockade of bushes, giving us adults a chance to prevent consistent attempts at drowning. Jay and Nicole assisted in child watching while I set the tent up in the shade of a tree. Otter and Monkey ran around, investigating the surroundings, picking up Canadian goose feathers, and assisting me in finding tent parts. Otter attempted to drive the car climbing up in the front seat each time the door was opened. Once we were all settled in and the tent was set up I unpacked the car and Nicole noticed our bush enclosure was riddled with large clumps of poison ivy. Crap, so much for letting the kids run free within the enclosure. Camping became a lot more preventative from that point forward, with shouts of “Otter! Don’t touch that please!” resounding throughout the camp. It only got worse once we lit the fire and added potential burning to the list of imminent harm. It was hot. Blazing hot. We were in a little valley in Kansas, so there seemed to be no wind (until later that night during the wind storm of death) and the sun beat down on us mercilessly. We ended up swimming in the lake far sooner than we expected to simply to get some relief from the heat. The kids and I enjoyed swimming a lot after I convinced Monkey the lake water was not full of Crocodiles and was indeed shallow enough for her. Soon she was paddling around like a duck. Otter stayed glued to my hip the whole time, but was generally pleased to be cooling down in the water instead of red-faced and miserable out on the sand. Nicole kindly took Monkey out further into the lake, and Jay swam out to the other side to investigate a nested cormorant. We swam for ages and then dried off on the ancient playground by the swimming area. The playground reminded me of the many my brother and I enthusiastically visited during our youth while on the way to my grandparents farm in Eastern Colorado. There were creaky swings, a round-a-bout, and about three million tumbleweeds. Somehow, these rundown playgrounds are always more enticing to me than the fancier gadget filled ones we see all over the city today. Maybe it’s because seeing them meant freedom from restraint and a break from the car when I was younger, or maybe it’s because their memory comes with the sense of hot weather, dry earth, warm wind, and the awareness of a quiet deeper than any you can find in the city. The memory of the sun beating down on my back comes to me from years past, haunting me with the sound of rusty chains attached to tire swings, and the constant squeak of the un-oiled hinges deep inside the round-a-bout, as my brother and I traded off the burden of running along in the well worn path, with the joy of being made sick to our stomachs in its center. Monkey screamed in glee while Jay pushed the round-a-bout, and Nicole tried valiantly to hold onto Otter so he wouldn’t fly out and break an arm. Sadly, all she got for her consideration was an upset stomach and a screaming Otter. Once we had satisfied the playing needs of our small charges we headed back into the camp to settle into dinner by camp stove and a night of marshmallow roasting, wine, and mead. While dinner was cooking, Monkey and Jay rescued a Monarch butterfly floating out on the lake, and Monkey held it aloft while Otter yelled “Me! Me!” and tried to get it out of her reach. Jay took over the cooking while Nicole took the kids over to some Queen Anne’s Lace and instructed Monkey in the proper way to safely place the butterfly on the flower so its wings would dry. Once dinner was eaten and the dishes cleaned up we settled around the fire for marshmallow cooking. After painstakingly picking out sticks and sharpening their points, the kids decided they preferred the marshmallows un-roasted and proceeded to devour them at will. Having filled up on more of those than they did anything else I finally got them into the tent and to sleep. Of course, it took about an hour to do that, and Otter clinging desperately to me because our air mattress hadn’t filled up very well and every time we moved we careened into each other. The poor kid was terrified. However, exhaustion won over terror eventually and the late night hours found Jay, Nicole, and I trading life stories and future environmental plans over a dying fire, a fleet of bugs, and the remainder of the wine. We dove for cover when the stars disappeared and the winds began to whip into our tents in a rather epic manner. Reminded of the thunderstorms experienced back home of late, I gathered all the remaining belongs at the front of the tent, tucked them inside, and dashed into the tent to ready myself for a horrible rainstorm. Instead, I was jerked awake all night by intense and violent winds whipping at my rain flap. The tent shuddered and shook, and Otter woke randomly, to sit up, bleat like an angry baby dragon, and crash into my lap. Monkey would kick Otter and I throughout the night as the noisy wind woke her enough to make her toss and turn. I woke up again and again prepared to batten down the rain-flaps, left open to cool the tent in the still oppressive heat, only to discover each time that there was still no rain, only wind. Finally, around five in the morning, it cooled enough to close the flaps and the wind died enough to calm the babies. We slept. We awoke bundled in a heap, roasting like bacon, and blinking blearily at each other. We scrambled out of our jammies, tossed on clothes, changed diapers, and began the morning routine. For me, that included breaking down a tent that would not continue to stay put in the wind without us in it. Then, breakfasted and packed up, we wandered off in search of beetle habitat, the purpose of the trip in the first place. We drove to the spring wherein our endangered species was supposed to lie, and, avoiding the poison ivy lacing the trial, hiked along its habitat enjoying the view and the morning. First we came upon the bridge under which the beetle lives, and snapped photos of it (the bridge, not the beetle) We didn’t walk along it, as we did not wish to imperil either the beetle, or ourselves, by carelessly wandering through the rocky, and aged, habitat. We hiked above the bridge on the neighboring nature trail, which was cool and lovely, though quite overgrown with spiny nettle and poison ivy. Monkey was wearing pants, but Otter had to hitch a ride on Jay’s shoulders, as his fat baby legs and arms were exposed to the plethora of poisonous plants growing in abundance around us. The spring fed pond from the nature trail above the bridge. Poison Ivy grows over the hiking trail. At the end of the hike, we looked around the pond and Monkey inspected some rocks. The habitat, at the other end of the spring, was in no danger from her scientific inquiry here, so Jay and Nicole helped her apply her magnifying glass to a few slimy rocks and river bed critters. Otter, less interested in viewing slimy insects and more interested in being down and free, watched the inquiry from a few feet away, occasionally investigating the butterflies alighting about. Otter watches the science team from afar. After our habitat adventure was completed, we drove back to the lake for another swim, and then ended our camping adventure with peanut butter and honey sandwiches and fresh water. Then, we took the long drive back into Denver, this time with me listening to Aladdin the whole way home. Oddly, despite the bone weary exhaustion that struck me upon returning, the tick that attached itself to my right hip somewhere between the last swim and home, and the constant vigilance required by camping with small children, I would actually do this again.